It’s fall. I wanted to bake. What more can I say? 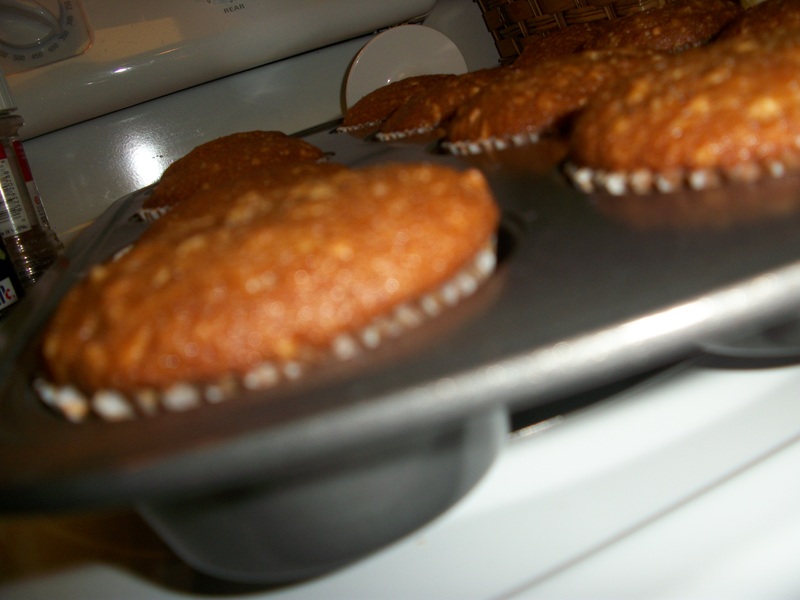 -Preheat oven to 350° F. Prepare muffin tins with cupcake liner of choice. -Sift together the flour, baking soda, cinnamon and salt. Set aside. 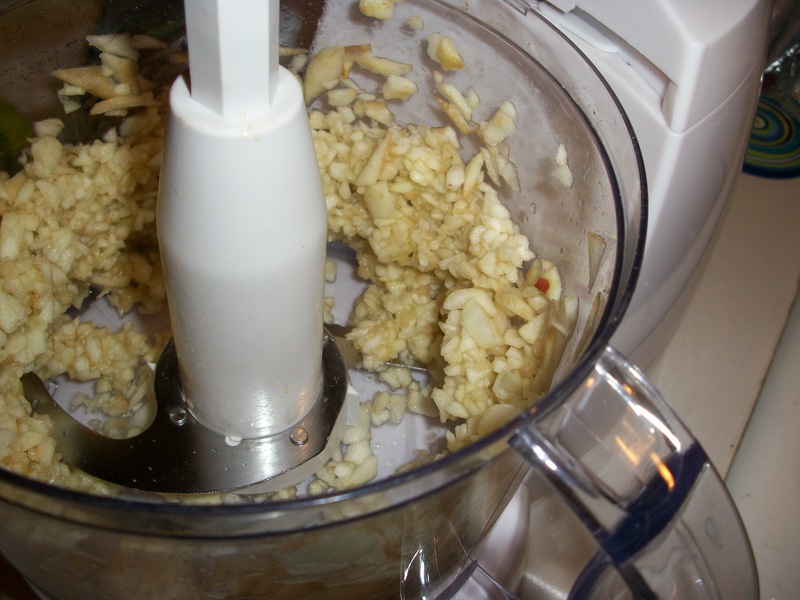 -Peel and core apples, blend in food processor until “minced”. Yeah, I’m gonna go ahead and call that “minced” apple. -Combine apples with white sugar; set aside. 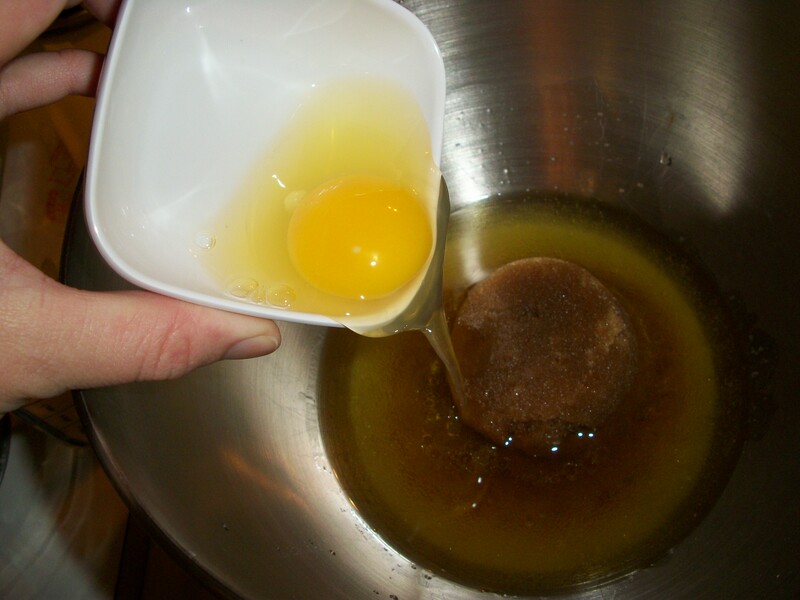 -In a large bowl, mix together brown sugar, oil, eggs, vanilla and apple juice. -Stir in apple mixture, then flour mixture. 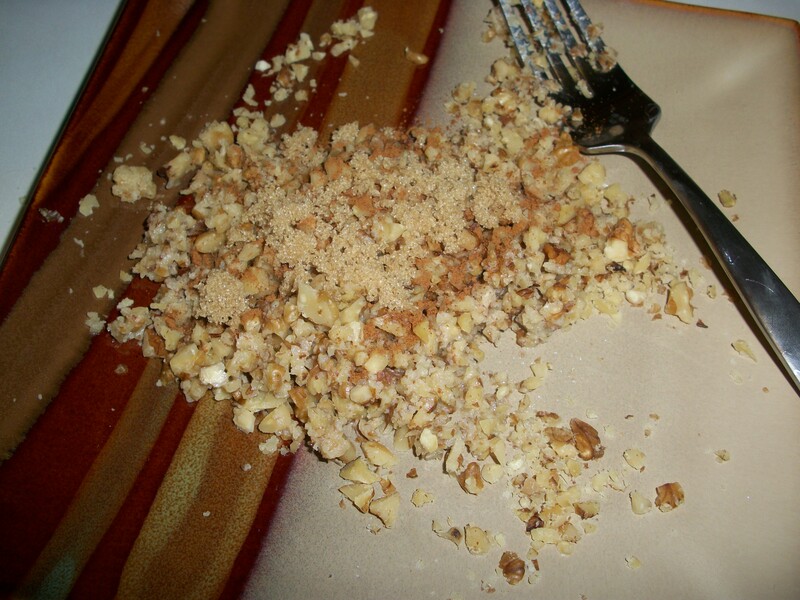 Fold in walnuts. 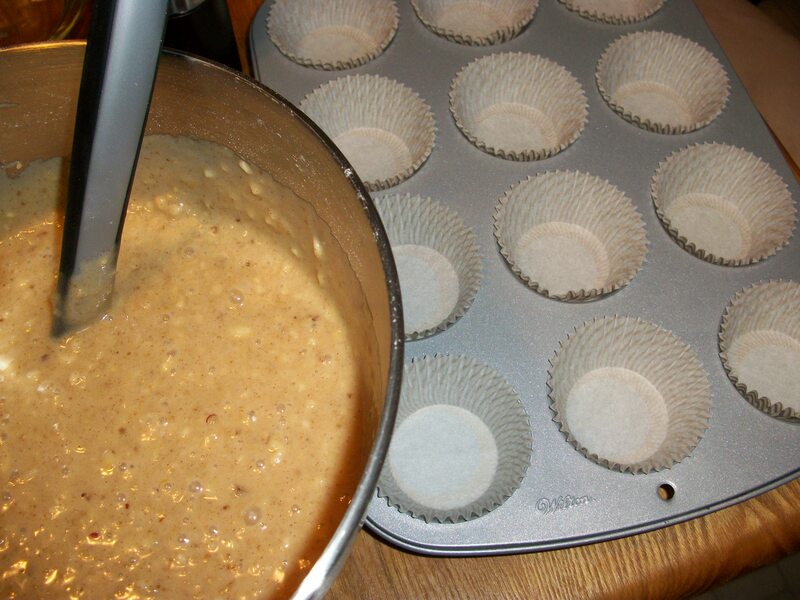 -Pour batter into prepared cupcake pans, filling about 2/3 full. -Bake in the preheated oven for about 30 minutes, or until a toothpick inserted into the center of the cake comes out clean. Allow to cool. -Combine 8oz cream cheese and 1/2 stick butter (both room temp). -Add 1 teaspoon vanilla and 2 teaspoons cinnamon. -Add 2-3 cups powdered sugar and mix until frosting reaches desired consistency. 1. 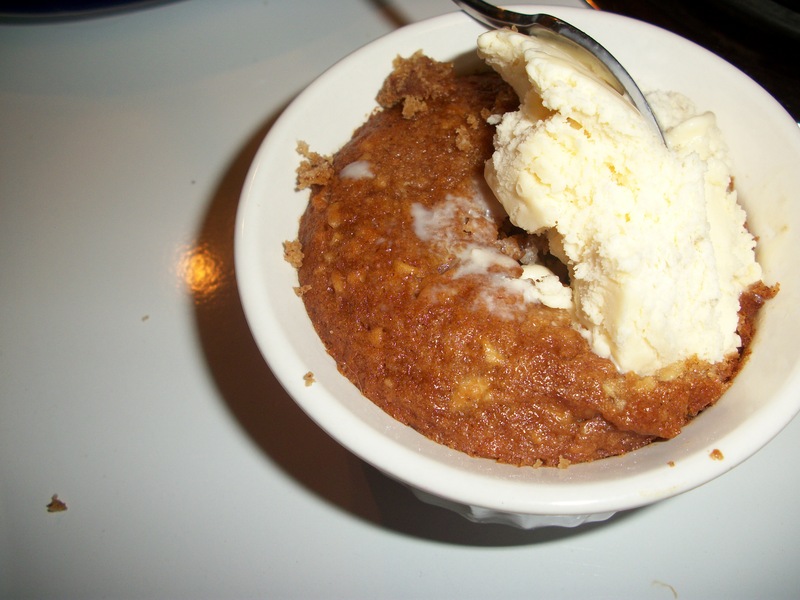 I had some extra batter so I made myself a mini-cake in a large ramekin, topped it off with some vanilla ice cream and may or may not have devoured it in ten seconds. Somehow I actually managed to taste the cake amidst my utter inhaling and noticed that the apple flavor wasn’t as strong as I’d have liked it to be. Soooo, before I frosted the cupcakes, I poked holes in each one and painted them with more apple juice, hoping to infuse the flavor a bit. One delicious mini-cake, ALLLL for me! 2. I thought the cupcakes looked a little boring so I decided to chop up some more walnuts, sprinkle them with a few drops of apple juice and toss them in cinnamon and brown sugar. 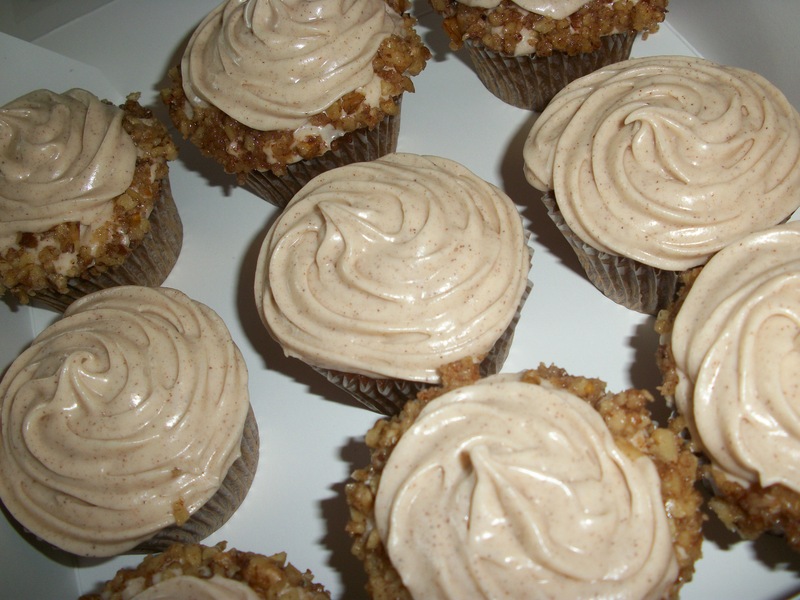 I then frosted just the edge of each cupcake and rolled it in the walnut mixture before piping on the rest of the frosting. Next Post You Know How I Know It’s Fall?